Spending with the best credit cards can help a freelancer save as much as Rs. 10000 to Rs.15000 yearly depending on the purchase and lifestyle. Credit card reward customers with points or cash back on spendings. It can create additional value if done the right way. Spending carefully using a credit card can help one save as much as Rs. 10000 to Rs.15000 yearly depending on the purchase and lifestyle. On top of that, specific cards offer more discount for online purchases. Everyone loves and enjoy discounts, offers, and deals. Almost every bank in India offers credit cards with unique features of other add-on services. In the midst of numerous credit card providers, it is the feature that separates one credit card from the other. 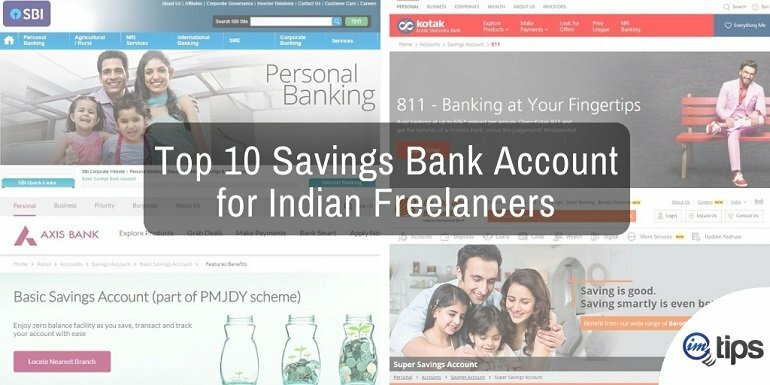 Let’s take a sneak peek at 10 best credit cards in India for freelancers. Select a credit card based on your usage preference, repayment capacity, and the perks they offer. SBI prime card is one of the best credit cards. If one wants to enjoy endless cashback and rewards points on monthly spendings then it must be in your wallet right away. With simply save advantage card from SBI you get unlimited privileges. It is the next best thing for low-income groups users. The most important feature of this card is it is highly affordable with an annual fee of Rs.499 only. Accepted in over 24 million outlets across the globe, including 325000 outlets in India, the simply save credit card from SBI is an international credit card. Enjoy 10 reward Points per Rs 100 spent on dining, movies, departmental stores, and grocery shopping. Earn 1 reward point per Rs. 100 spent on all other spendings. Get annual membership fee reversal from the second year of subscription. Citi rewards credit card is best for those who love to collect reward points on every purchase. Moreover, the annual fee is only Rs. 1000 which is affordable to anyone and everyone. Get 2,500 points on card activation. Earn 10 reward points for every Rs. 125 spent at apparel and department stores. Avail 1500 bonus points on your first spend made within 30 days of card issue. Get 1,000 bonus points on your first spend of Rs. 1000 made within 60 days of card issue. If an individual is a day to day spender and still craves for instant cash savings then the Citi cash back credit card is for them. 5% cash back on movie tickets. 5% cash back on all telephone bill payments. Get 5% cash back on utility bill payments through Citibank online bill pay. 0.5% cash back on all other spendings. Read: How to Get a Credit Card as a Student in India? The HDFC platinum edge credit card gives cashback opportunity on daily shopping bills. 2 reward points on Rs 150 spent. 50% more reward points on dining bills. 1% Fuel Surcharge waived off on fuel transactions. Avail up to 50 days of an interest-free period from the date of purchase. Standard chartered super value titanium credit card is user-friendly. It offers monthly savings of Rs. 6000 on expenses. The user will incur an annual fee of Rs. 750 for the first year and thereafter. Earn 5% cashback on fuel spends across all fuel stations in India. Avail 5% cashback on telephone bill payments. Get 5% cashback on utility bill payments. Get 1 reward point for every Rs. 150 spends. Enjoy 5x rewards for overseas point-of-sales spends. Complimentary priority pass allowing access to 1000+ airport lounges worldwide. Enjoy a host of discounts and offers across dining, shopping, travel and more under the standard chartered good life programme. Read: What Happens When A Refund is Initiated to an Expired Credit Card? Start earning reward points with the Indian oil Citi platinum credit card. Enjoy huge savings when you refuel. This credit card is not only for refuel reward point earnings but also for other spendings. 4 Turbo Points on Rs.150 of fuel purchases at authorized Indian oil retail outlets across the country. Turbo points redemption for free fuel at over 1200+ authorized Indian oil retail outlets across the country. 1 turbo point is equal to Rs.1 of free fuel. Redeem turbo points instantly at selected merchant outlets and online partners. Kotak and PVR together offer a credit card, especially for movie lovers. The user gets up to 24 free PVR movies tickets in a year with other exclusive benefits. The annual fee for the Kotak PVR gold credit card is Rs. 499. 1 free PVR movie ticket monthly on spending Rs. 10000 and above in a monthly billing cycle. 2 free PVR movie tickets monthly on spending Rs. 15000 and above in a monthly billing cycle. Free PVR movie tickets on shopping anywhere in India using PVR Kotak credit card. Insurance cover and protection against unauthorized transactions. The axis bank neo credit card has annual fees as low as Rs. 250. The state-of-the-art technology and customer friendly services ensure protection against potential fraud for the user. Now shop online and enjoy exclusive benefits. 10% off on movies, recharges and online shopping. Rs.300 and Rs.500 vouchers for movies and online shopping. Avail a minimum 15% discount at axis bank partner restaurants across India. The neo credit card includes gift vouchers from Amazon, BookMyShow and Jabong. The annual fees can fluctuate as the calendar year changes. 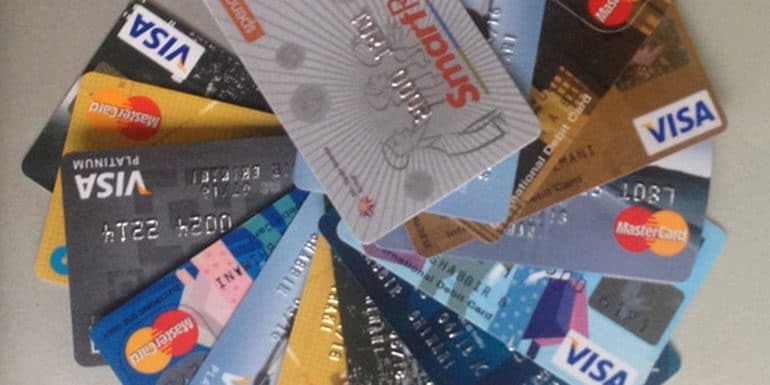 The credit card list compiled above offers annual fee waiver, loyalty & reward points, benefits, cash back, gift voucher, deals, discount, coupons and more. Depending on an individual’s shopping preferences, lifestyle and needs one can apply for the best credit card enlisted above.